How Do Programmable Thermostats Work In Bay Area Homes? Who wouldn't like to save money while sleeping or away from home? You could save a considerable amount of energy without sacrificing comfort simply by using a programmable thermostat. Take advantage of this guide to be able to program energy-saving configurations matched to your schedule, and for your specific cooling and heating systems. Programmable thermostats present an array of features that will make programming temperature changes a breeze. Large touch screen displays help to make navigation uncomplicated and intuitive. Program and store as many as 6 temperature changes on a daily basis. For quick temperature changes, manually bypass the programmed setting by selecting "Hold" without changing the rest of the daily or weekly programs. It's important to match compatible programmable thermostats with HVAC systems. For example, if you have a heat pump, you'll have to have a two-stage programmable thermostat. Or else, when room temperature drops more than a few degrees below a standard thermostat's set point, the heat pump's back-up electric resistance heating powers on, and energy savings go out your window. A 2-stage thermostat stops backup heat from turning on. Boilers and under floor heating systems have a slow reaction time. You'll need a thermostat that monitors heating performance, and automatically changes the start up time to meet the heating requirements to your scheduled program. For those who have electric baseboard heating, you'll require a line-voltage thermostat able to contrl 120-volt or 240-volt circuits. Your HVAC specialist will help you select the right thermostat for your home heating system. Just how much energy am I going to save? Government figures reveal that cooling and heating costs can be decreased by about 1 % for each and every degree the thermostat is lowered (heating months) or raised (cooling months) for an 8-hour time period. To illustrate, if you set back (heating months) the thermostat eight degrees during sleeping hours, and kept that very same setting during your workday (total 16+ hours), you'd save roughly 16 percent, and maybe more, heating costs in that 24-hour period. For additional information about programmable thermostats, email or call Sandium Heating & Air San Jose and the whole metro south SF Bay Area. 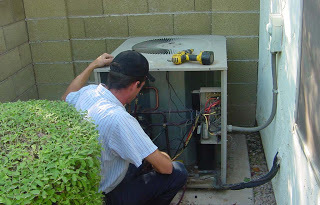 Heat pumps, like other hvac systems, require require the proper operating techniques to run it's best. The combination of caring for your heat pump in the right way and setting up annual maintenance with your local hvac company can result in a system that is 10-25% more efficient than a neglected one. Use the “auto” fan setting. This allows the thermostat to control the fan and achieve optimal performance. It is also easier on the unit than the constant turning it up and turning it down. Change the filter once per quarter or as needed. A new filter will ensure proper airflow and put less strain on the compressor. A new filter is much cheaper than repairing the unit. Clean the outdoor coils periodically. If dirt appears on the outside, that’s your cue to hose down the outdoor coils. You should also keep plants trimmed back so they don’t obstruct airflow. Each of these checks will keep your heat pump in it's best condition for years to come, helping you avoid expensive repairs and delaying replacements. Most of the homeowners in the Bay Area have probably had their furnace running for a few weeks now. This is about the time when the first heating bill arrives for the season. Obviously the amount will correlate to the size of the home and usage pattern. But it is worth spending some time reviewing if you feel it is excessive for the size of your home. In general if the bill is over $200 there may be opportunity to save that will have a quick payback. There are a couple places to trim your heating bill. Firstly, if you are not using a programmable thermostat you should strongly consider it. Sometimes a furnace is left on when the house is not occupied or when it is not required to be heated. Those can be avoided if a digital programmable thermostat is set up properly. It is relatively inexpensive as a basic thermostat can be had for less than $50 from Home Depot. Secondly, if your ducts were installed over 20 years ago you should have it checked for leakage. California Energy Commission have done a study indicating that the average leakage rate for older homes is around 30%. That means $0.3 of each dollar is spent heating or cooling your crawlspace/attic. That can be reduced greatly if the system is properly sealed. A duct leakage test can be done to analyze your current status. PG&E also has rebates from $350-$600 to encouraged homeowners to seal their ducts. 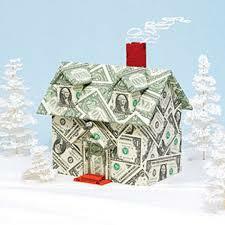 In certain situations the rebate may be enough to cover the cost of sealing. Thirdly, if your furnace is over 15-20 years old it may also be a source of inefficiency. There are modern furnaces that are rated at over 95% AFUE. A 20-30 year old furnace is probably running at 60-75% so a significant saving will be seen if it is replaced. How would you like to dramatically slash your electricity bill as much as 85%? 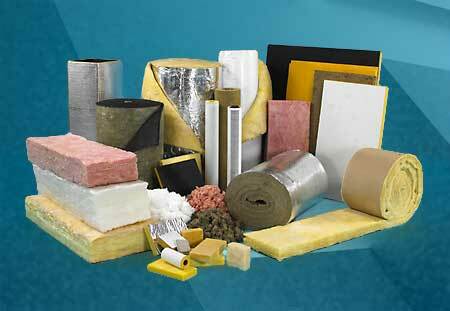 Superinsulating a house can significantly enhance the energy performance of an old house. These so-called deep energy retrofits achieve household energy as much as 85% by addressing all (or almost all) energy loads - space conditioning, warm water, lighting, home appliances, and plug loads - or even transportation. Energy cutbacks of this magnitude require a rigorous and extensive systems approach: The natural associations among energy, indoor quality of air, sturdiness, and thermal comfort should be honored throughout construction and designs. Passive photo voltaic design and renewable energy systems are typical during these projects. The objectives of any house energy retrofit can be like those of a brand new green residence, however like all remodels, a big difference is basically you have to deal with a pre-existing building. Below are a few house systems with particular areas you should focus on. With the top and bottom of the home sealed tightly and insulated, the very next prospect will be the walls. Did you know that old and outdated windows is like having a significant hole in your wall? 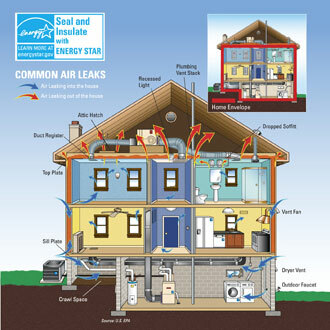 While functioning poorly, they often leak both water and air into the house. Correctly mounted, Energy Star (or even better) windows seal off the gaps in the walls to hold out water and climate extremes. minimum, upgrade the efficiency of warm water production by coupling the tank towards the boiler. Warm, dry cellars and crawlspaces can extend living and space for storage. Wet cellars are the source of high humidity levels and discomfort in the summertime in old houses. They can also cause mold growth that will get distributed throughout the house. Spray foam is really a fast, efficient way to create these areas in to the conditioned space while sealing the leaks between foundation and floor framework. 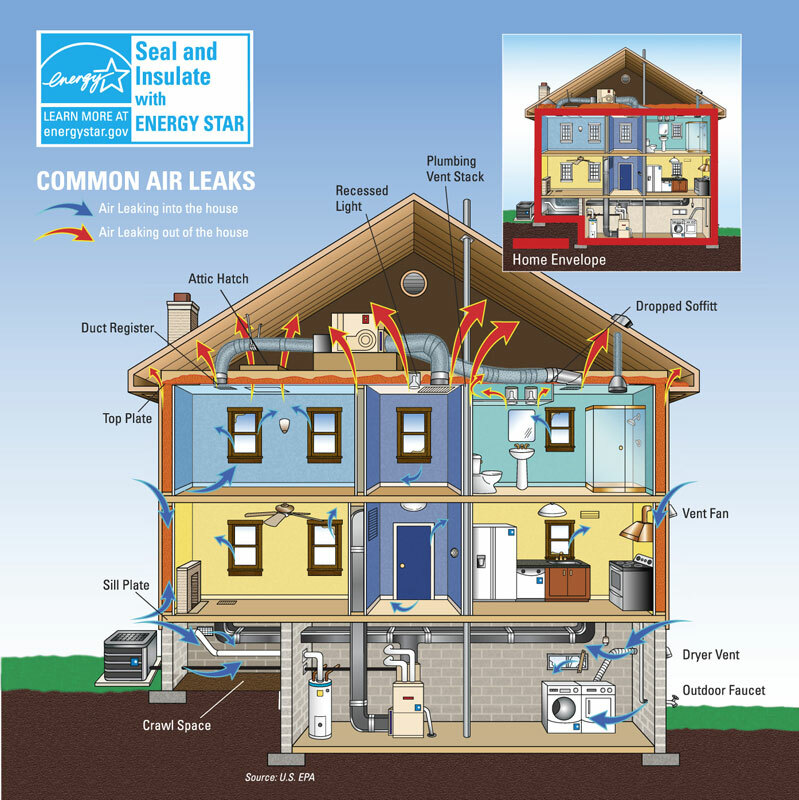 If air leaks in at the bottom of the home, it leaks out at the very top, making a home cold and drafty in the winter months. A poorly insulated roof also can produce a hot house in summer time. Air-sealing is really a by-product of excellent insulation, so it’s a real one-step process. Using spray foam within roof may also eliminate the requirement for roof ventilation, that is tricky in complicated roofs. Filling empty wall cavities with cellulose is really a cheap, easy, efficient way to warm-up a classic house. Blowing cellulose into existing wall tooth decay is definitely an art, to be certain, but you will find many companies who've been doing the work for a long time. Actually, you will find now affordable methods to seek advice from infrared cameras to make certain that voids happen to be filled without disturbing the present plaster or sheathing on outdoors walls. Because siding or shingles on old houses may also normally wear out, we go ahead and take chance to set up foam sheathing around the outdoors of the home before re-siding. Fittings, home appliances, and lighting after you have reduced your parking space conditioning and water-heating loads, the lighting, appliance, and plug load will probably be your next large energy item. A brand new Energy Star refrigerator uses 15% less energy than the usual standard model. Changing old light fittings with pin-based compact fluorescent fittings guarantees your utility bill will remain lower (as much as 30%). When your energy consumption continues to be reduced considerably, it might be reasonable to create your personal energy with systems such as photovoltaics, wind energy, or hydro, if you possess a stream nearby. 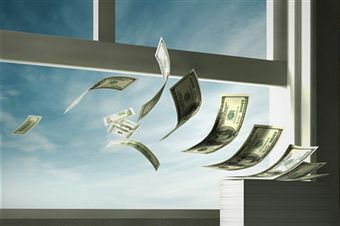 Before you slash the energy usage, though, it isn't worth the money in renewable energy sources. Conservation remains the least expensive game around. One of the fastest growing sectors of renewable energy resource development is the wide and varied field of Geothermal Heating. No matter the type you choose to match your needs and location, a geothermal installation can be made completely sustainable and is very scalable. It is likely that the future of geothermal energy will find some aspect of it found in every home as part of a varied renewable energy package. Boiled down to its most basic elements, geothermal energy is generated when the heat of the Earth itself (or submerged magma near reservoir cavities) is used to directly heat water. The water acts as a conduction medium, bringing the heat to another location. One may also use superheated steam to generate electricity by spinning an industrial sized turbine. The water may also be used directly to heat, as is the case in greenhouses with hot water pipes under plant benches. Geothermically heated waters have been used for at least the last 2,000 years, maybe longer, as the Roman baths found throughout the former Empire can attest to. There was a revival of heated bathing culture in the mid- to late 19th century that saw the creation of countless "healing water" spas. By the 1920s those areas were popular enough that they needed electricity for street lamps and electricity around these often rural destinations, usually flanked by mountains. The Geysers geothermal power station in northern California was once the site of one of the world's first geothermic power plants, though they were very inefficient. Later, when the spa fell out of fashion, the site became home to no less than 21 industrial turbine generators that make it the largest such facility in the world. Indeed, though Iceland produces more geothermal energy than the US per capita, the output of the US dwarfs the tiny, island nation. Improvements in generator design have caused there to be a few typical designs for geothermal generators. The oldest type is called "dry stem" and simply uses the steam as it comes out in a single chamber system that turns the turbine. The more modern and efficient method of using what is called a "binary cycle" and two chambers has been very successful and many generators are switching over when they receive overhaul work. Here, either the superheated water itself or another fluid is allowed to undergo pressure changes that instantly turn it into a vapour, thus turning the turbines with each "stroke," like a combustion engine. One of the most exciting developments in the production of geothermal power is the relatively new practice of injecting reclaimed water into spent vents or heated cavities commonly referred to as, "hot, dry rocks." The water is pumped in while it is still capped, to allow the pressure to grow. It is usually pumped in cold in the hopes that the difference between the water and the rock temperatures will cause further fissures to open up and increase the volume of the cavern to be filled. When new holes are driven in to the rejuvenated geothermal well, the site will usually operate indefinitely as long as there's available water. Roughly one quarter of North America is capable of supporting any actively heated sites, such as those where hot springs are naturally found. 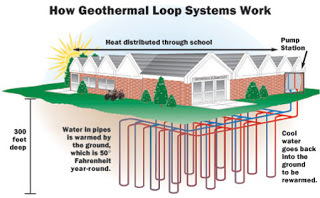 The central and eastern part of the country are still able to use geothermal energy to heat and cool homes and businesses, but their options are limited to passive technologies such as the heat pump. Here, water or glycol is injected into pipes and circulated underground to exchange the heat or absence of it with the constant temperature of the ground outside. Such systems are always closed when they simply circulate underground, but may also be open systems that have intake and outtake pipes submerged deep into a nearby lake or pond. These passive systems have the advantage of being suitable for homeowners everywhere, having hardly any moving parts that can break and quietly bringing your home to equilibrium with the ambient temperature of the Earth in your area. For those living in climates that get very cold in the winter, this can be the difference between heating your house from 50 to 70F (10-20C) rather than from a typical sub-zero base. For those looking to investigate how to fit geothermal heat into their sustainable power system, there several organizations that provide detailed information on the topic as part of their advocacy mission. The next century will surely see a wide expansion of the various geothermal technologies, if for no other reason than it's predicted affordability within even just a few years. As the benefits of geothermal heating and energy production become more widely known, it is certain that heat pumps will become as ubiquitous as wind turbines and solar panels.